Two good hearted hillbillies, Tucker and Dale, take some time off to renovate a crumbling "vacation home" of their dreams that they bought in the woods. A bunch of well off and stuck up college kids encounter them along the way and, thinking our Dale and Tucker are evil (cos they’re hillbillies), starts attacking them. One by one our college students die in the process of said attack through freak (and terribly funny) accidents, which only convinces their remaining mates further about the evil nature of their opponents. In the process, we go through the whole checklist of horror movies list of cheap tricks. But jokes aside, it is the college kids that turn out to be the evil ones as the hillbillies do their best to save the day for everybody. Tucker and Dale is a comedy, but it did leave me wondering how often did the above happen in real life between nations? Say, the USA knowingly falsifying evidence of WMDs in order to wage war on Iraq? 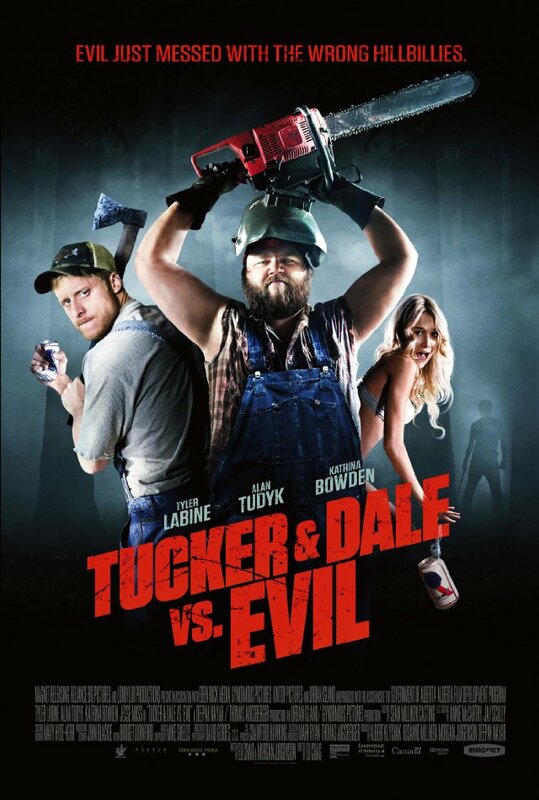 Overall: While no breakthrough in the art of cinema making, Tucker and Dale Vs. Evil is no average horror movie but rather a lot of fun. 3.5 out of 5 crabs for so benignly raising deep questions.